An experimental house concert devised and developed in collaboration with Max Abner, blending open improvisation with traditional song structures, and addressing themes of home, shelter, memory, and the double-edge of nostalgia. Dance-Scape is an interactive movement piece inspired by Ragdale's prairie landscape and the dynamic Ring. Set design by Galo Canizares and Stephanie Sang Delgado, featuring Kristina Isabelle dance, Walkabout Theater, Hubbard Street Professional Training Program, costumes by Heidi Kambitch. Land Mass: North Park is a site-specific walking dance performance highlighting the land and environment with movement, sound and sculpture. Land Mass is a meditative exploration of the land, body and our relationships and connection to nature. "QOWOOOPO takes part of its name from Bennett Foddy’s game QWOP, in which all the limbs of a runner are controlled with multiple keys. Purposefully frustrating and complex, the nuance of independent limb control inspired this piece, where the cellist attempts several gradual circular bows (the Os of the rest of the title) while engaging in various other activities of variable musicality. 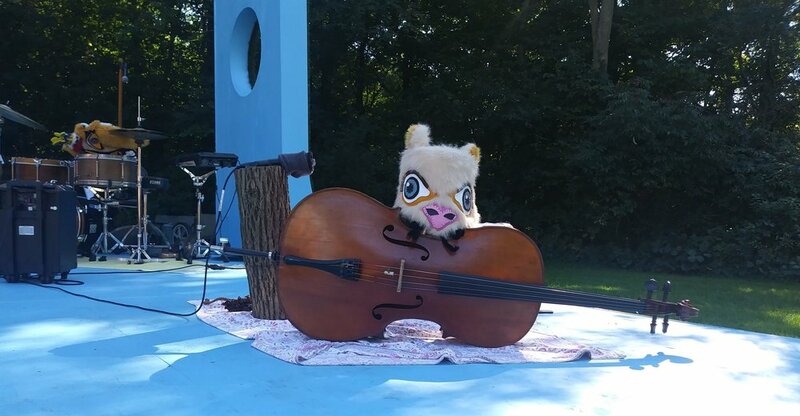 While perhaps amusing on a surface level, the multiple streams of action require an alternative embodied virtuosity on the part of the performer, and seeks to foreground the assumptions and limits of full-bodied ability inherent to cello playing in the classical music tradition writ large. Struggle is encouraged, as it brings us closer to ourselves and that which we cherish by function." Movement exhibition devised and curated by dancer/choreographer Ayako Kato, which remarks on the intangible: time, gravity, space, energy, breath, emotion, idea, memory, and image through movement and stillness. DORIAN is a new jazz musical by Pedro Castillo García and Wilson Tanner Smith, based on Oscar Wilde’s celebrated and immor(t)al novel, "The Picture of Dorian Gray." "Dorian" is a new jazz musical by Pedro Castillo Garcia and Wilson Tanner Smith, based on Oscar Wilde's celebrated novel. It had its staged-reading premiere at the Victory Gardens Biograph Theatre in Chicago, May 14 and 15, 2017, directed by Sophie Blumberg.